It’s Friday and so time to look forward to the weekend. January has now come to an end to, thankfully for some of us, and so you might be finding more time and motivation to put some of your home decorating ideas into practice. The weekend is a great time to undertake quick and easy projects, and choose them wisely and they will have maximum impact. How about some of these ideas if you fancy doing a little DIY over the next few days. With very little preparation you can put up a feature wall of wallpaper in just a few hours. 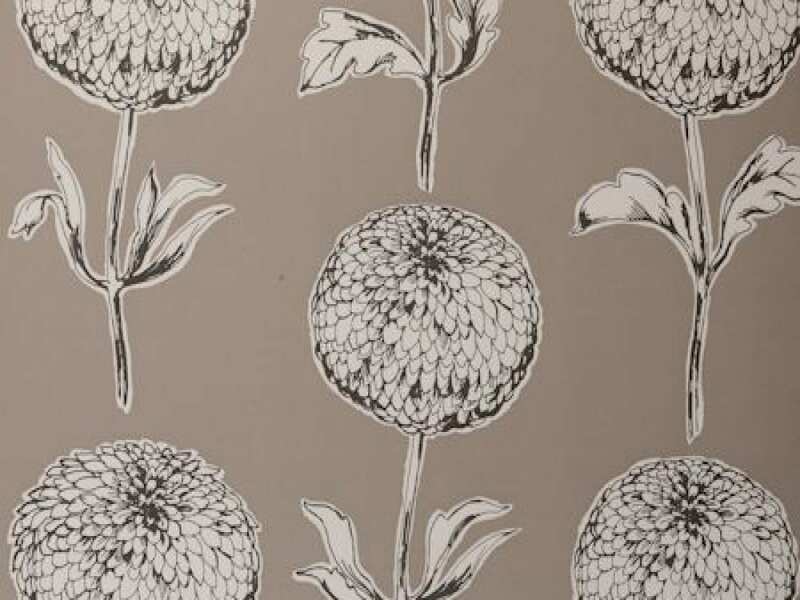 Adding some gorgeous, large printed paper can add real impact to any room, and this Dahlia Wallpaper in Taupe from FADS would look stunning in either the bedroom or the living room. Pop it on a chimney breast and mix with warm, neutral tones, or do the whole wall behind the bed and add shades or pink for a romantic feel. I saw a designer on the Great Interior Design Challenge use something very similar on a chimney breast and it looked wonderful. This has to be one of my most favourite things to do to decorate my walls. Hunting down old frames from the attic or the garage, and spending some time painting or varnishing them. You could do that on one day. Then whilst the frames are drying, hunt through your phone or your pc and find some of your most favourite photographs from recent sunny holidays and take them along to be printed out. Do it at the supermarket in one of the instant machines, or plan ahead and send them off to a site like Photobox. 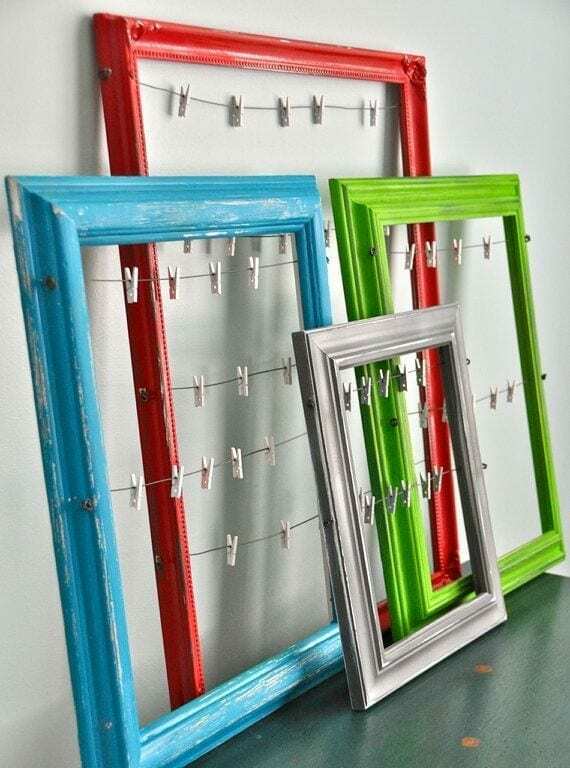 Then with your painted frames string some wire across the back, and hang mini pegs as per the image above. Arrange your photographs in a way that you love and hang the frames on your wall space. You’ll find yourself looking at those pictures every time you walk by. Such an easy, but effective little project. This image is from my Love Wall Art Pinterest board where you can find lots more wall art inspiration. Wall stickers have grown in popularity a lot over the last few years and they are a wonderful way to add a lot of impact to your walls. They are also great in rented accommodation too, being easy to apply, causing no damage to walls, and then peeling off when you are ready to move on. As a family it’s imperative to record events and stay as organised as you can. 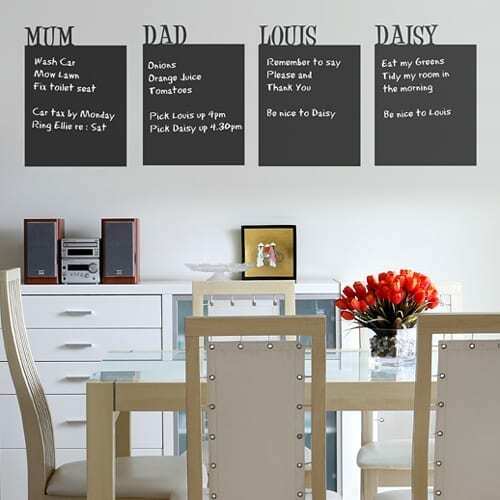 These custom name blackboard wall stickers from Spin Collective are a lovely, contemporary way to do just that. This isn’t even a weekend project to be honest, the whole thing will take you an hour and the result is very pleasing. You’ll even get a free box of chalk when you buy them! 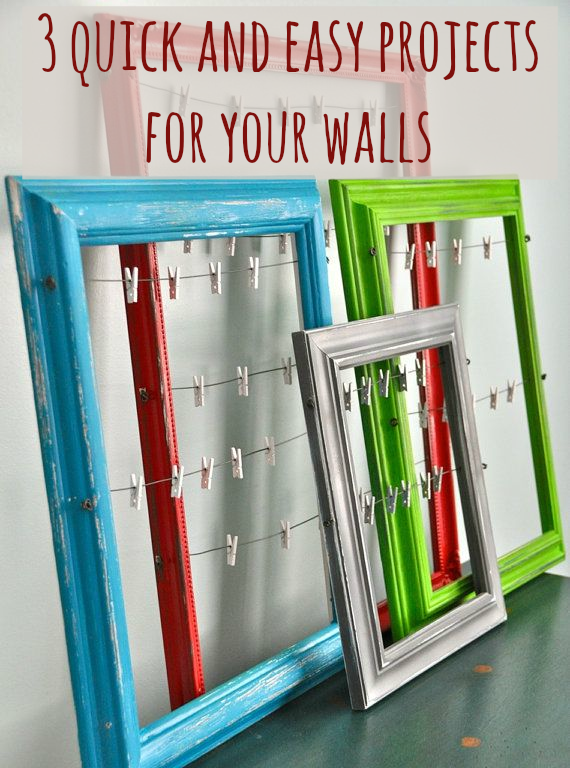 So have fun this weekend with these quick and easy projects for your walls. And let me know how it goes if you try any of these. And while you’re at it, why not get your hands on my completely FREE Home Decor Shopping Guide – the definitive list to the best stores for perfect home decor and accessories to help you create a stunning yet affordable family home. I love this idea for a wall collage. I’ll be heading to the thrift shop for some old frames this week-end! i like the frame witH mom’s memories service in July. Thank you for share your ideas. Hope will get some new frames this week and will try these its looking so interesting.